Identity is a multiplayer RPG about discovering your fate and the world around you. It's a game like The Sims, but you get in-depth play of the character. Players can be a criminal, police officer, or businessperson. You can also interact with players from all over the world. There are so many things to do in this game. You can buy houses or live in apartments with other players. You'll have full control over furnishing your home. Get jobs and start careers the more you rank in progression. Perks and other special characters are unlocked as well. This huge open-world adventure brings real-world features and other players to create a simulated life experience. The best MMOs are always out there every year. This was a roundup of only a few of the best from 2017. What are your favorite MMO games from this year? Bossa Studios brings Worlds Adrift, an MMO that allows players to build ships and customize them how they want with resources they find in the world. Designing the ship is very important because it affects how it holds up In battle. Get crews together to help explore and build ships. Join alliances to attack and defend the world. It’s all up to the player and how they choose to go about their journey. Befriend allies to help you drift from different islands in a continuously evolving world. 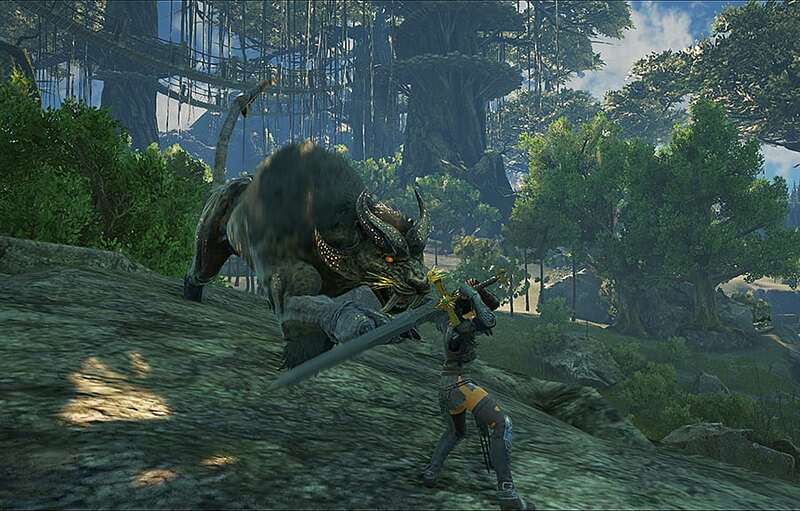 Square Enix released this MMO adventure about conflict between man and dragon. You must follow the Warrior of Light and his comrades who want to save Ala Mhigo. Final Fantasy XIV: Stormblood lets you travel east to defeat Garlemald. New challenges are brought about in this adventure. There are Eight-man raids, and this second expansion brings good content and new creatures that stand in your way to victory. 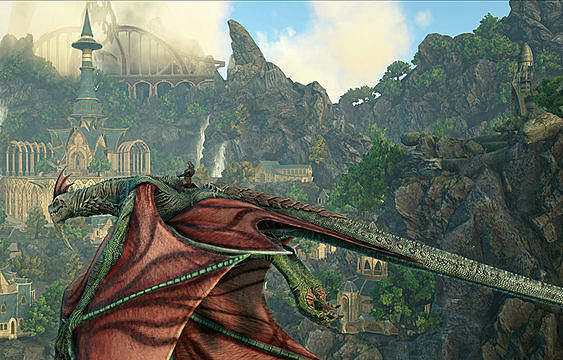 This is a beautiful MMO in which players can embark on many adventures and use PvP mode to play against other players. The vibrant atmosphere consists of cliffs, forests, and mountains available for players to freely explore. Fight through dungeons with up to 5-10 friends to overcome obstacles. Play quests to unlock mysterious artifacts. 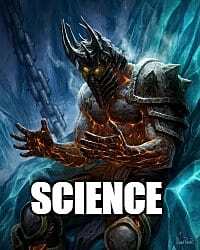 There’s unique classes and spells to learn. Form relationships with your soulmate or provoke battles with your enemies. Revelation Online brings a wide range of social interactions. Fight together with your friends to rule the world. 612 Games brings you a Wild West action MMO where you are free to explore the land and gather resources. You can be a hero or villain your actions decide your fate. Enjoy the day and night cycle while exploring the land for Saloons. Drinking whisky can heal you but not too much. Players can purchase weapons from the Gunsmith and new outfits from the Tailors located throughout the world. 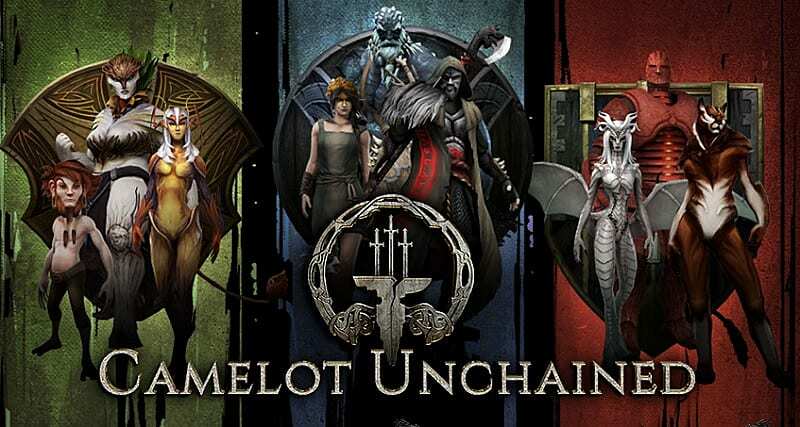 Intrepid Studios brings this open-world, non-faction-based MMORPG where players' actions and decisions matter -- the players' world changes because of their actions. Choose your class, race, and gear through character customization. Control how your the civilization evolves. Whatever the player does in the game makes history throughout the story. This online sandbox survival game takes players to Valnir Island, where they will have to survive wild animals, beasts, and dangerous men. Valnir Rok is inspired my Norse mythology. 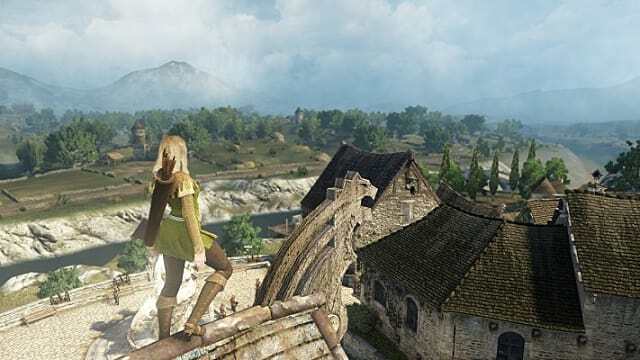 It’s an open-world adventure that allows players to trade, find jobs, craft tools, and find recipes while exploring deserted villages. 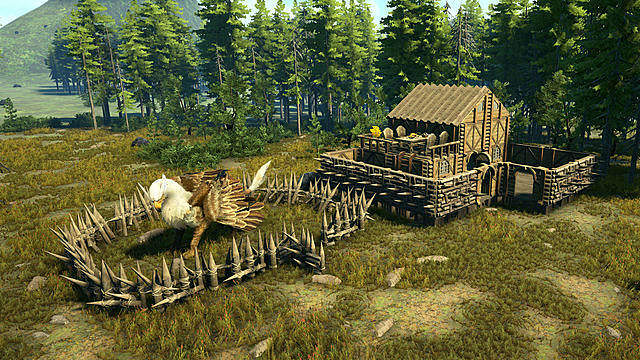 You can build houses or villages to defend your territory from other players. Valnir Rok lets you battle against other enemies and place bounties on their heads. This is a true Vikings tale. Dark and Light is a survival fantasy game that gives players control over magical energy through the planet Gaia. Landscapes are crawling with creatures, and players will have to fight to survive. You will have to build your own sand bases while exploring the world. The further you travel, players unlock more areas to build your base. 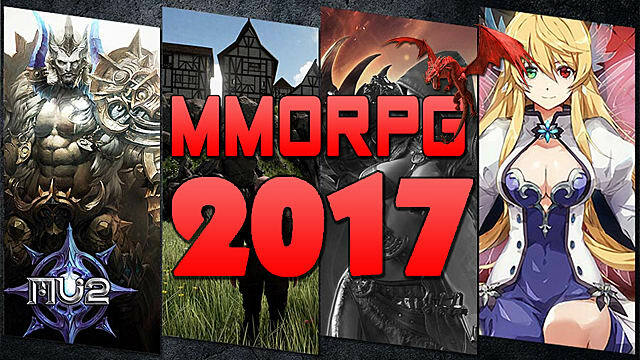 The best MMO games are upon us and this will list the top games of 2017. A good MMO can be pretty memorable to gamers and bring in a lot of traffic. Enjoying a good MMO with friends online can be very exciting because going on adventures alone isn't as fun. 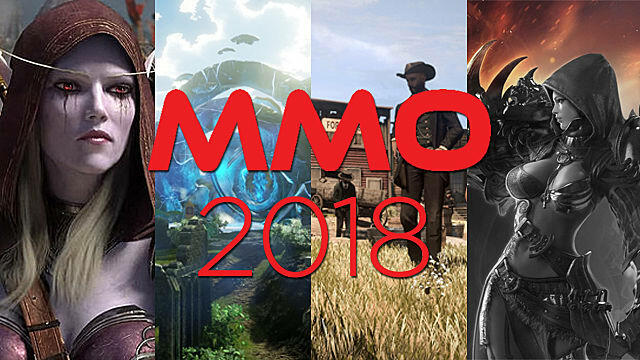 Let's see exactly what MMO you might want to check out this year. 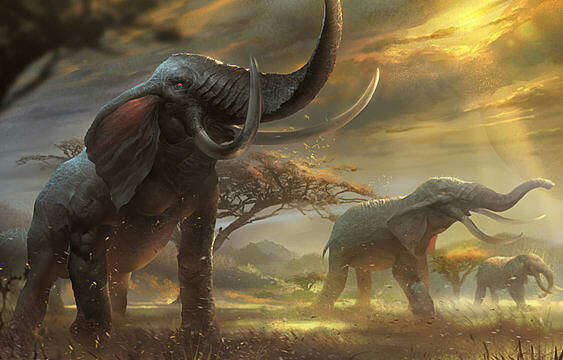 Even if you have only just started playing Dark and Light, you will be aware that the game is full of all kinds of wildlife -- there are over 50 species in-game. Some are friendly and docile, like sheep, but some you wouldn't want to wander too close to for fear of losing a limb, like bargesh. As you might have already seen in our Dark and Light Taming Guide, a lot of creatures can also be tamed and used as mounts to help you find resources faster. But to get a real sense of what creatures roam the game world, here is a complete Dark and Light bestiary, as well as each creature's use in-game. Some of the creature information has yet to be revealed online, but this guide will be updated as soon as those details become available. An Alligar is Water creature that cannot be tamed. Further information currently not available. Bargesh are akin to hyenas. Even though they aren't powerful, they are agile and move quickly. The upside of Bargesh is that they can strip fallen creatures of their hides and meat, and they can be a combat or hunter/gatherer mount. Bears can be tamed and can be used as a mount. Further information currently not available. Boars are really easy to tame, but once you have them on the ground and have the food trough in front of them, they will go through food really quickly, so make sure you have enough! It might come as a surprise, but you can tame Cyclops and even have them as mounts. They are really aggressive and run pretty quickly so you are going to have to find another way of slowing them down to make sure you get enough arrows into them. Once you have them under your control, they are exceptionally strong and make fantastic siege weapons capable of breaking down all kinds of walls and defenses. Tameable. Further information currently not available. All Elementals in Dark and Light can be tamed, but you don't need to use hook arrows and food to win them over. To tame them, you need soul stones. You must make sure the Elemental is down to very low health before you start the taming process -- otherwise, the soul stone won't work. They can be crafted once you hit Taming Rank 6, but you'll need a core from each of the elements to make one. Each Elemental can help you out in different ways. For example, the Earth Elemental can be used to construct defenses, while the Fire Elemental can provide heat in colder climates and cook food. Elemental creatures in the game are Fire and Ice Imps, Dark Ice and Dark Fire Elementals, and Fire, Light, Wind, Ice, Earth and Water Elementals. 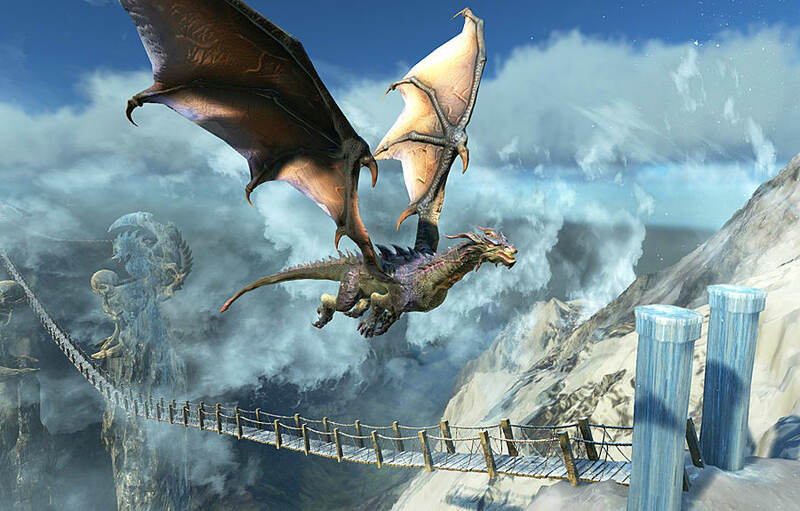 These majestic flying beauties are a must for mount collectors -- but be prepared for a fight when you go to train them. Griffins take quite a lot of arrows to bring down and will struggle to get airborne again as soon as they can. As with Boars, they do require a lot of food and will go through it quickly -- but the plus side is that they feel the effects of the hooks for longer. 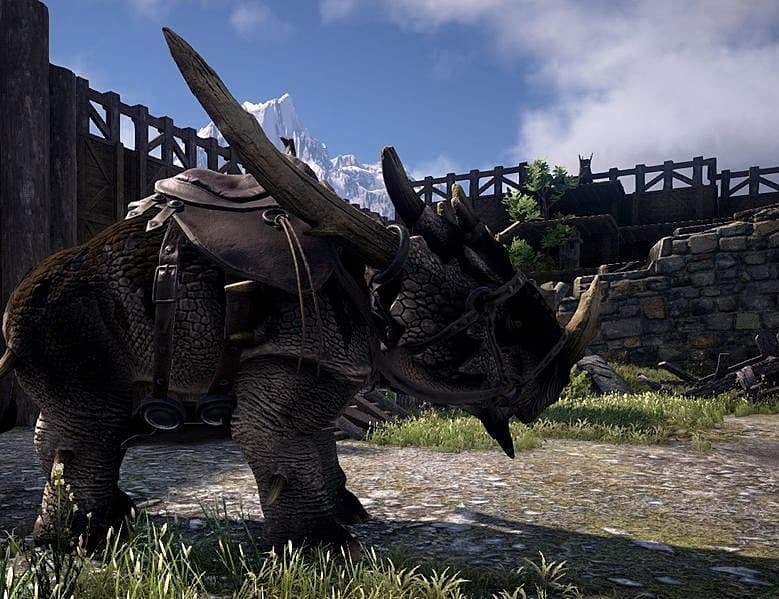 These are one of the easier creatures to tame and can also be used as a mount. If you want to utilize them to gather resources, they are great at harvesting grass and straw. Even though you don't have to tame them yourself and they are not found in the wild, Horses are widely available from vendors in towns and cities at minimal cost. Due to their size and toughness, Kebo require a lot of resources to tame -- not just arrows and their components, but also a lot of time and a lot of feed. Kebo can be used to collect many items in Dark and Light, such as stone, sulfur, twine, and wood. Kebo have a hearty attack, but move rather slow. Unlike Boars, Longhorns don't not tame very quickly. Actually, everything about them is pretty darn slow. On top of slow taming, they don't eat quickly and the torpor effect drains from them pretty slowly. They can, however, carry quite a load, so they're useful when gathering sulfur and stone. Pathers are really aggressive and can spot you from quite a distance. When attempting to tame one, you can't outrun one in a straight line. You need try and gain a height advantage to get the easiest shots in. Once they are down, they eat rather slowly but the torpor effect drains from them really quickly so you will have to be on your toes and get ready to fire more shots at it. Panthers can be used as mounts. Sheep are relatively easy to tame as they don't move very fast, at least until they are injured -- and then they move rather quickly. Sheep are used for one thing in Dark and Light and that is to provide wool, which is used to craft certain items in the game. So you need a pretty decent supply of it. Personally, I wouldn't be wanting to get anywhere near the Spiders that you find in Dark and Light. They are commonly found in jungle areas and can be easily spotted from a distance because they have a glowing mark on their backs. They eat slowly, so make sure you have the ways and means of defending yourself and your quarry as you tame them. Once tamed, you can equip Spiders with a mount and run off to hunt some goblins or other fast-moving prey. For a creature that looks like a water fly, they are really substantial. They will take about 3 hours to tame -- but once you've managed to tame one, they can be used as a mount. These two-headed vulture-type birds can be found living along the coastline. When taming one, be sure you're wearing sufficient armor because it will definitely attack you. the silver lining is that they don't take very many arrows to bring down. Vrocks can be tamed quite early in Dark and Light, too, making them a great choice for a beginner's flying mount. Wyvern are the smallest of any of the dragon types and are relatively easy to tame as well. Normally quite docile, they will flee when attacked so you need to make sure you try and get them caught in trees or over the edge of a cliff. 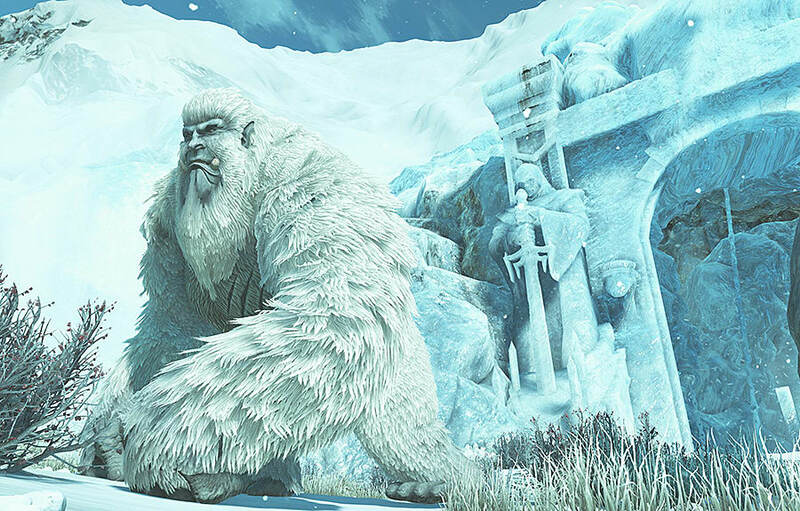 There are two types of Yetis in the game -- wild yetis and summoned yetis. Wild yetis cannot be tamed and will more than likely rip you apart if you try. But if you collect shards from killing yetis, you can summon tamed yetis in special temples dotted around the snowy tundra. Help you collect resources and complete tasks. So there you have it -- 50 creatures from the Dark and Light universe. As previously stated, there is a lot of information missing but this will be updated as the relevant information is released. 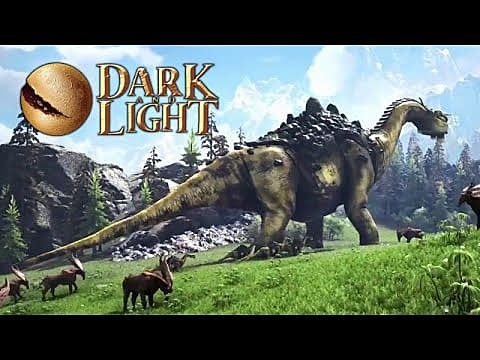 If Ark left the non-dinosaur crowd feeling a little out in the cold and wishing for knights and dragons in a fantasy world instead, Dark And Light is the answer to that predicament. 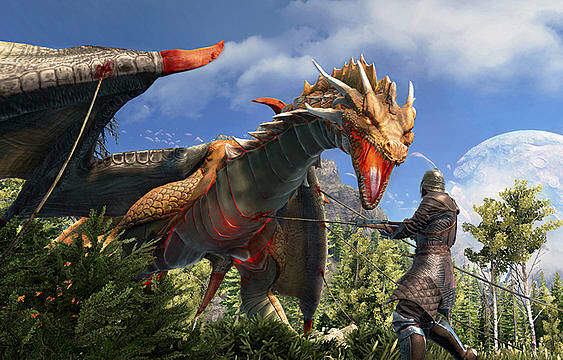 It remains to be seen if Dark And Light will beat Ark's ludicrous Early Access time record -- but for now the game should firmly stay there, needing some drastic updates to deal with a horde of bugs, frame rate drops, and connection issues. 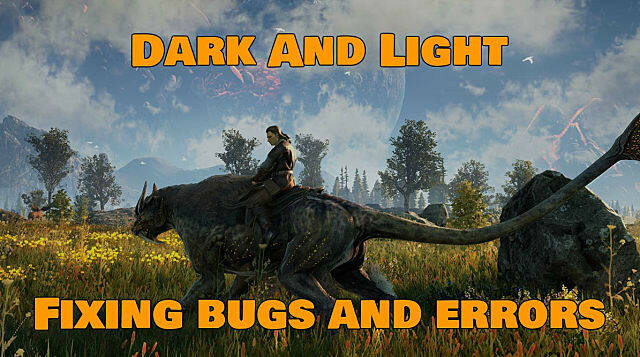 Sadly, the bulk of the known bugs in Dark And Light don't have fixes at the moment. The latest patch seems to have actually nerfed some of the servers further, with many players unable to connect at all or freezing at 99%. Some of the current issues, however, can be mitigated or removed if you don't mind getting creative. This issue is scheduled to be fixed in a patch, but for now can be very frustrating: sometimes random objects like trees, grass, and even some animals never run out of health and can't be harvested. There's a weird fix to this issue -- just die, in any way at all. Piss off some guards and wait to get stabbed, poke your head under a lake, hang out in a frozen tundra with no clothes, attack something way higher level than you, jump off a cliff, or whatever. When you come back, the problem seems to be resolved for the vast majority of users. Its not a very elegant (or convenient) fix, but there you go, just kill yourself anytime it happens. In this instance, the standard troubleshooting issue of verifying your Steam files isn't going to help much, since the problem is on the game and server side and not with anything on your computer. There are a few tweaks you can make for better frame rates (and in some cases, load times), however. Open up Steam and right-click the Dark And Light entry in your library, then choose Properties. If you have any issues after making the launch changes, you can just use these options for the bare bones fixes that may work better, depending on your rig setup. Remember that these options will stay in effect until you remove them, so if you don't get any increase in frame rate or drop in desync issues, just return to the same screen and delete out all the launch options. 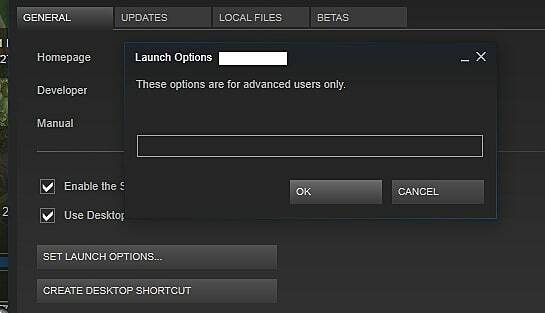 If the aforementioned launch options aren't helping, there are additional graphics and gameplay settings that can be manually tweaked in a file rather than from any in-game menus (thanks to Steam user Misfits | Vega for the tip). 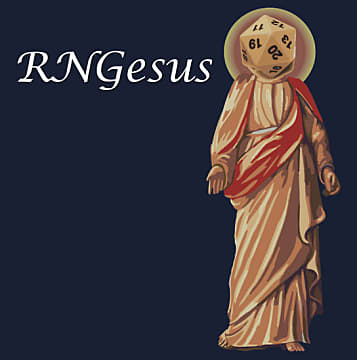 Right-click the file named "GameUserSettings.ini" and open it with Notepad so you can alter its contents without any formatting being added. Fully delete the contents of the file, then copy and paste in the commands listed below. Keep in mind that may want to make a copy of the file's original contents first in case you run into any unexpected issues. Otherwise, re-installing the game is always an option if these settings mess up anything. 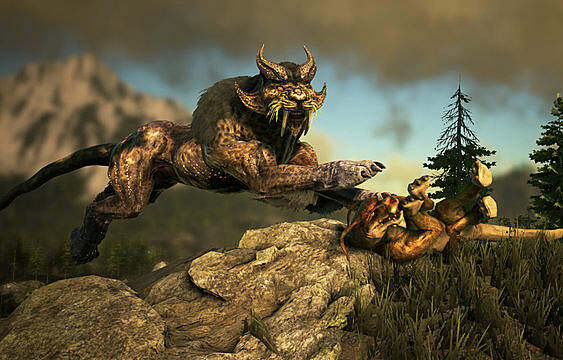 Offering the Ark survival experience with a stronger fantasy flavor, Dark And Light is difficult for new players to get into without some serious knowledge before hand of what to craft and how to play. Due to major lag problems, FPS drops, and constant desync in Early Access, keyboard shortcuts can be a life saver. The less often you have to pull up menus to scroll through, the better. When first getting started, its important to construct a thatch hut with a door in a defensible position, preferably near a city. Eventually you will want to upgrade to better structure types. Remember that when you log out, your character and tamed creatures are still there -- and yes, you can be killed and looted while logged out. Griefing is a problem, and you need to find ways to protect yourself. Always be hidden somewhere first before logging out -- like inside your house behind the closed door (although this isn't completely safe, since other players can destroy your buildings). Note that if your structure is missing parts when you log in, usually doors, they haven't actually disappeared, the textures just aren't loading. It's a known bug being worked on at the moment. Besides building a structure, you need to stay on top of hunger and thirst. Berry Jam (made with berries and grass) is a good early option for managing thirst and hunger, but it spoils quickly, so only craft it as needed rather than making several ahead of time. To keep objects, especially meat, from spoiling, get yourself a larder box (although note that the in-game text is wrong, you use Sulphur Powder for the box, not Silica Powder). Finally, always search a corpse for extra loot before harvesting. Below we've listed out what you should focus on harvesting in the early stages of the game and with which implement. From there its time to explore the world and learn how to craft and tame along the way! Have any other beginner's Dark And Light tips and tricks that new players should know? Sound off in the comments section below! 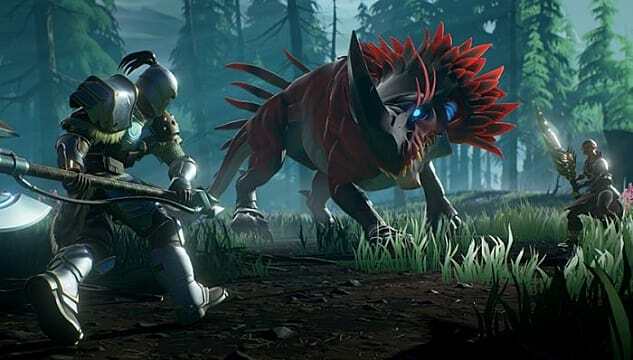 The fantasy world that survival simulator fans have been craving is now in Early Access with Dark And Light, which will have you gathering resources, constructing buildings, and taming creatures. 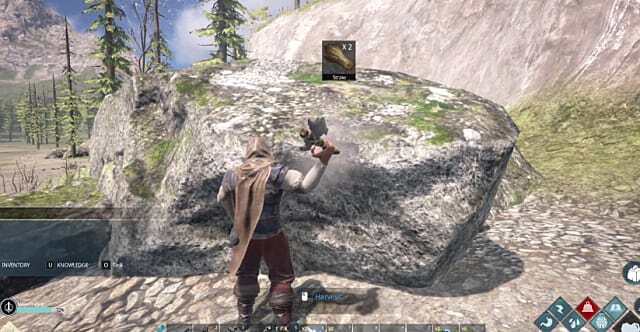 Dark And Light has more than a few similarities to Ark, including the list of console admin commands that let you either outright cheat or just spawn specific items for crafting. To open the Dark And Light admin console command section, you just need to tap a single key. By default, this is set to the + key, but you can change the key binding to anything you want -- like the more industry standard Tab. Navigate to the Key Bindings section of the Options menu and look for the "Toggle Console" entry to change the key for accessing the admin area. Now just tap that key and a black bar appears on the bottom of the screen letting you type in specific commands. Type enablecheats and hit Enter to get going. 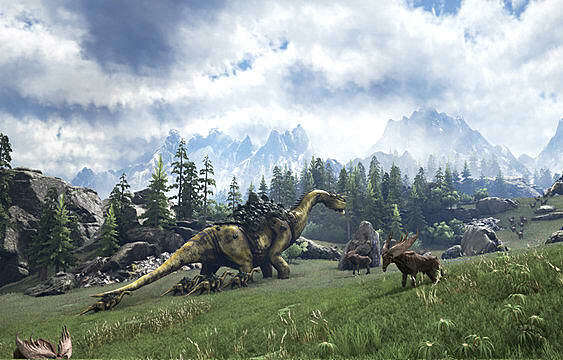 The basic Dark And Light cheats are all very similar to Ark -- so if you've been playing that survival simulator already, you should know the commands by heart at this point. Stab me all you want - with god mode on its doesn't matter! The item codes are listed below, and the last number refers to whether you are getting the item or a blueprint for the item. For the blueprint, switch the final 0 to a 1. For instance, if you wanted 10 Foundations in your inventory, type GiveItemNum 411 10 1 0 and hit Enter while the admin console area is active. 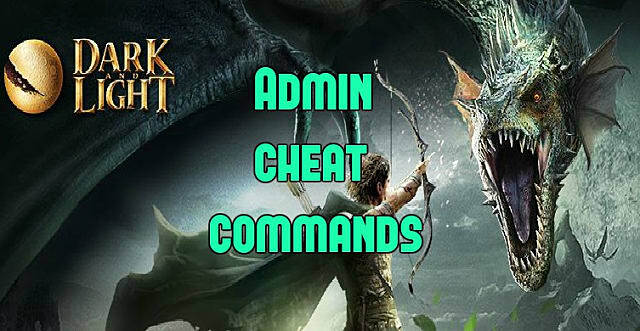 Note that some users have reported having to type cheat before it like with the other cheats, so if the command doesn't work, use Cheat GiveItemNum instead. Have you found any other useful IDs for spawning Dark And Light items? Let us know in the comments section! 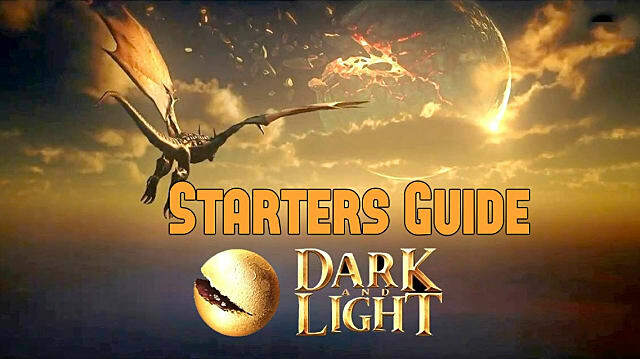 And be sure to check out the rest of our Dark and Light guides for more help with the game. As you journey through the world of Dark and Light, you will come across many of the world's other inhabitants -- its wild creatures. Some may be hostile, but the majority of them can also be tamed regardless of their persuasion. Whether you want to try and tame a sheep or something a lot larger and mythical, you'll need to know how to do it and this guide is going to show you how. Before you go venturing out to tame yourself a creature, there are some things that you are going to need to take with you -- a way to capture the beast and a way to lure the beast. 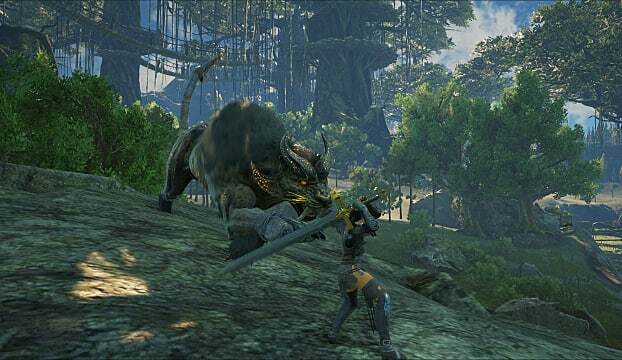 Using a Bow weapon is a rank 2 Ranged Combat skill and gives you the ability to engage creatures at distance, as well as tame those creatures. These special arrows are vital if you are going to have any luck taming creatures. You could say that they have an effect like a sedative, which makes the creature in question go into a sleep-like state, making it easier to capture. You are able to craft them when you reach rank 2 Ranged Combat. 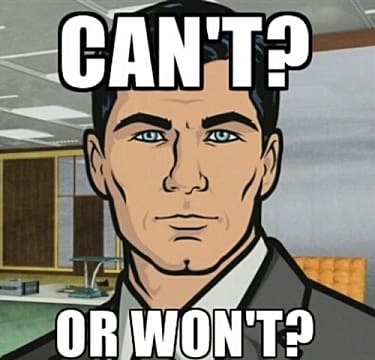 What Animals can be Tamed in Dark and Light? The bestiary in Dark and Light has about 150 creatures in it but not all of the creatures can be tamed. 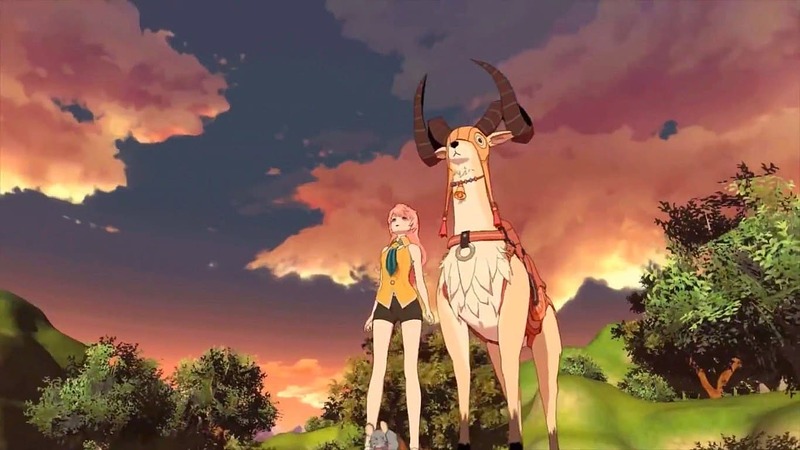 There are real-life animals as well as mythical ones, so if you have ever wanted to catch a Griffin, now's your chance! On your travels, you will come across both herbivores and carnivores, so you need to make sure you have enough of the correct food with you to tame them. Grass < Apples < Rare plant drops such as Lucky Clover < pre-made Herbivore feed. One thing you should note is that if you run out of feed before finishing taming, you will have to start again with more feed. All food needs to be presented to the creature in a Feeding Trough because if you don't give it enough feed, the taming process will end. So once you have your arrows, the right kind of feed, and feeding troughs, it is time to head out into the wild and find your intended target. Once your quarry within sight, you need to target them with an arrow. When you fire the hook arrow at the animal, you need to left click to hook the other end of the rope to the ground. The arrows don't start taking effect until the hooks have taken hold. As an animal runs away, the hook will embed itself and the torpor effect starts to take effect. If the animal is aggressive, you will need to fire multiple arrows and attach them to the ground so that when the animal is at a certain distance, the hook will snag and start the process. When the creature goes down, you can place a trough next to it and fill it with food. As the creature starts to eat, the taming process starts. If the creature starts to come around from the effects of your arrows too soon -- before it is tamed -- you can fire another arrow into it to add to the torpor effect. However, as the creature is no longer moving, you will need to move away until the rope is taut and then fasten it into the ground. With a little bit of time and patience, it won't be long before the creature will be 100% tamed! We hope that this guide on how to tame creatures in Dark and Light has been useful. You really must let us know what kind of creatures you've managed to tame! Show us whats out there! Make sure you check back to GameSkinny for more Dark and Light guides! What's an MMO player's favorite past time? If you guessed playing video games, you might be wrong. It could be argued that we enjoy the hype train more than any other type of gamer. Even your most hardened player often spends hours sifting through online forums, watching game play videos and diligently reading every word of pre-alpha newsletters to try and absorb all the little details of their potential next MMO overlord. The rush is better than Christmas morning when we get our grubby paws on a beta key. We know the next four or five hours will likely be struggling through technical issues and server crashes, but c'mon, we're practically game devs at this point. So charitable, so patient. But in some games, after we scrape away the issues we can make excuses for, in creeps the crushing realization that this game was not the game it was portrayed to be. Sure, our expectations often outpace reality, and early access should be a launching point, not an endzone. There is, however, a fair share of flat out lying done in game marketing, and sometimes it's enough to tank the fledgling MMO all together. 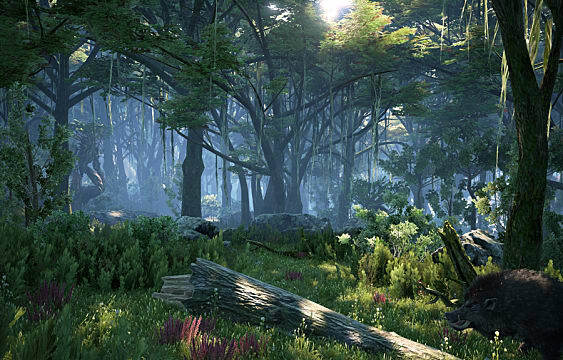 My new obsession of choice, Dark and Light, came across my radar as an open world, survival MMORPG. True to a seasoned MMO player's nature, I was hesitant to get involved, and then quickly wound up completely engrossed. Among the promised features was a massive realm, no quests, plenty of tamable pets and mounts, non-instanced housing, purely action combat, interactive biomes and intelligent AI. Do I think all of these lofty promises will make the cut? No, I know better. Even half of them, combined with the survival aspect they seem to prioritize, will make for an interesting MMO. Unfortunately, the primary concern only a few months before (a delayed) early access, is that this game will not actually be an MMO. When the Steam page launched, the community (and us spectators) were all pretty excited to pop over and scrutinize it into oblivion. The glaring issue, quickly realized, was that it was now listed as multiplayer co-op. 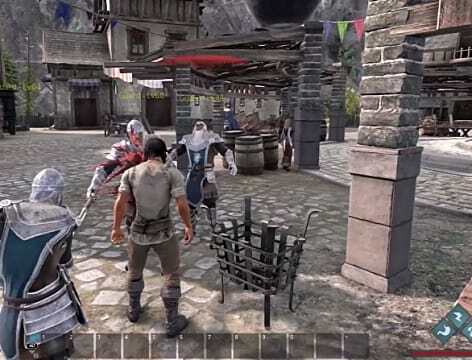 Quickly following, Snail Games published a news story referring to Dark and Light as an online survival RPG and just a few days ago released a Q&A explaining that Dark and Light was not, in fact, an MMO. Is this bad news? At first, it really seemed like it. No MMO player wanted another DayZ or Ark. We like permanent, well-established, developer controlled servers, the opportunity to meet a new player around every corner and the dream of standing out among thousands. But, if you dig a little deeper, even though they did falsely label their game as an MMO early on, they still claim they will be running their own servers as such. 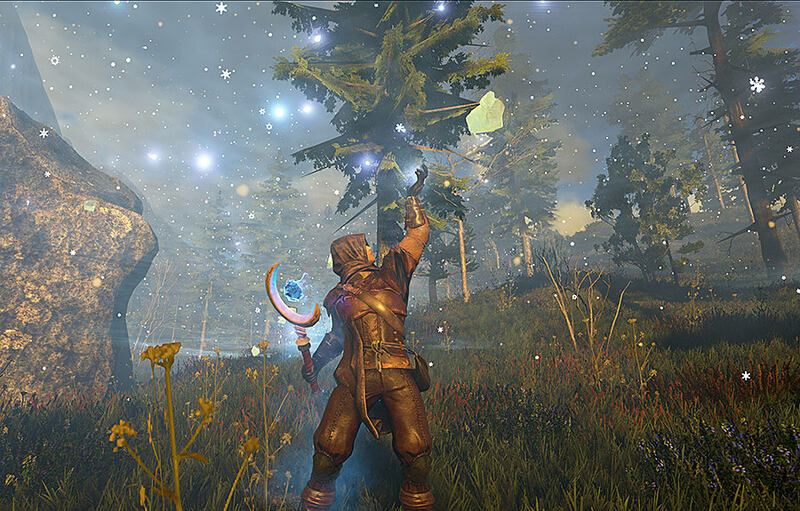 Dark and Light's server player cap is announced as somewhere between 70 and 500. Ok, I'll bite, this could be an incredible experience. But how could it possibly work? Even at 500, what's the guarantee a Snail Games run server won't be a ghost town in a month or so. The amount of server combinations and regulation required when the cap is so small could be astronomical. The quality of game required to pull off such a feat is a high bar. With only a few game play videos and pretty low community interaction, it's questionable whether the game will warrant the player base to host their own servers and create an MMO like experience. 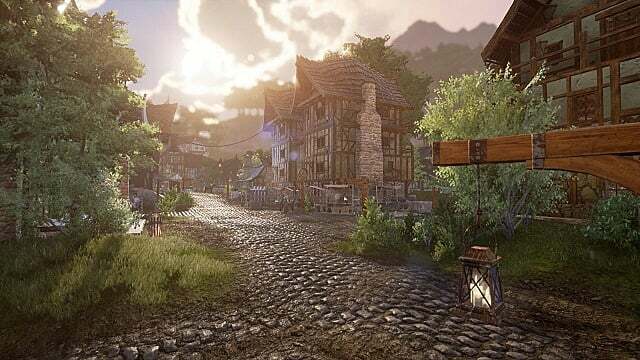 The good news is that Dark and Light is actually a remake of an MMO Snail Games retained the rights to over a decade ago. This game has been worked on for a very long time. The content we do have available is polished and exciting, and they have clearly stated that the small server sizes will grow as their capabilities do. If they deliver, I actually appreciate the fact that they have kept their progress so under wraps. 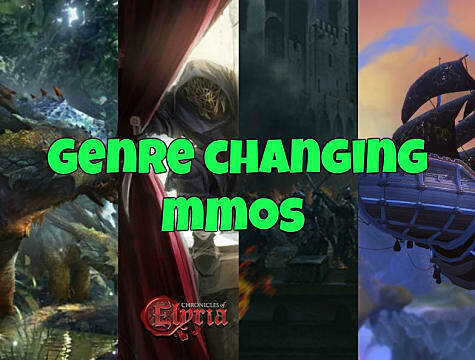 Whether you should invest your hopes and dreams really depends on what kind of MMO player you are. This is the type of game that may appeal to those that enjoyed the overwhelming and fluid nature of Archage as opposed to a WoW veteran. Sinking into the world at early access will take some effort and, likely, some friends.